Damon Watson was happy to let the hospital investigators deal with the case of ‘Dr Death’, he didn’t need reminders of the past. The mother of the Montgomery baby was his first love. So he was not on their most-liked list. So when the tabloids see fit to crucify Sophie Richmond, Damon intervenes. Deeply hurt by the past Sophie trusts no one and keeps to herself. Unfortunately her solitude makes people suspect her of malevolence, forcing her to flee and prove her innocence. 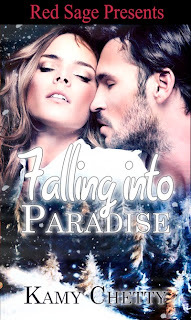 With nowhere to go and no one to trust she is forced to put her faith in Damon, the sheriff of Paradise Falls (fictional town). A man she always thought was too cute for his own damn good and too flippant to be useful. Their attraction burns hotter than the heat wave sweeping the State of Georgia, and they’re both forced into situations testing them in the most arduous way. Despite having his own agenda, Damon continues to help Sophie hoping to reveal a few skeletons in the Montgomery’s cupboards. The time he spends with Sophie makes him realise the past doesn’t seem as important anymore but if Sophie knows the whole truth about his relationship with the prominent Georgia family, she will never trust him. When Sophie gets her chance to prove her innocence in a sting operation, she learns to trust again falling for Damon. Together they find their happily ever after. Interview: Note this interview was conducted by another blogger. I am posting it in her stead. However, I am a little jealous because it is a GREAT interview. Mine are kind of dorky. I am a nurse who has always been a bit of a drama queen, hence the current status of published author. I am married to my best friend and soul mate and I have two children. I have been writing all my life. I started in primary school and by middle school I was writing my first love story, so that was a clue that romance was my genre. Have you ever been discouraged in regard to your writing ability and if so, how did you get past it and move forward? Yes- I have. With my debut book I had a full request as a result of having won a pitch contest and when I sent it in, the editor of that publishing house wrote back and said, she didn’t like it and it was wrong for them. I got down at first, as you do and then I thought- well, so what? That was one editor in one Publishing house, so I got on my computer and sent it out to an entire list of publishers. I had three offers to publish. The lesson I learnt was to never give up and always believe in myself. The characters and worlds and places they take me. It’s the emotional journey that I find the most satisfying and even though you might think that I am the writer so I can do what I want in the scenes, it doesn’t always work that way. This book was fun and different to write but I totally enjoyed it. What is your writing style? Do you like to outline or just write as you go? I used to always think that being a plotter would cramp my style but I now realize that I have to be a little bit of a plotter and a pantser. So I am an organic writer. I will know where I want to go and I know my character arcs and the what I want to achieve but how I get there is sometimes a surprise. Do you have a favorite spot where you like to write? What is something you’ve written that will never see the light of day? What is your writer food? Coffee, coffee and more coffee. I made– yes you got that right- I made my family get me a nesspresso machine for mother’s day and now I’m addicted. I get ideas from everywhere but if I need to get in the mood to write then I need my music, I need my space and to get in the zone. Inspiration is all around us all we need to do is listen. I would have written about six books by now. Two accepted for publishing, one sitting with a publisher. My favourite is the one coming out in June. It’s a medical set in the USA about an ex marine. I love men in uniform. The best thing customs NZ could have done was put their men in uniform- I could look at my man for hoursJ But Breathe Again is highly emotional and I absolutely loved it. I absolutely love Nalini Singh’s Psy Changeling series, I’m reading one of the books now. 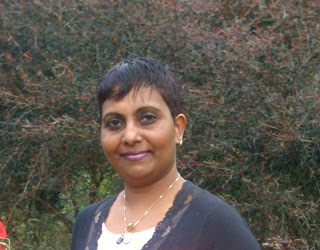 I like medical romance, so Mills and Boon, Desire, I like Romance Fiction, Paranormal. Actually anything with a great plot will grab my attention. 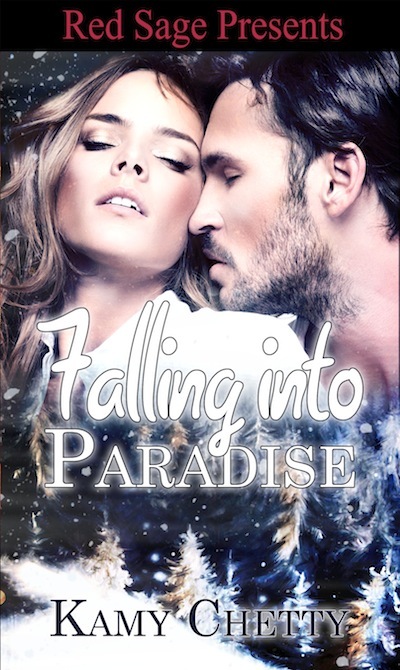 What inspired you to write Falling Into Paradise? I had quit my full time job to pursue my writing career and I had given myself a goal to get published before my birthday. Then I entered a pitch contest and they were asking for Christmas themed stories so I entered and won. That’s how it came to be. I won the pitch contest and in a mad rush to submit the book to the publisher finished it in three weeks. It started out as a medical and turned into a thriller. Would you say you relate to any of your characters? If so, which one and why? I’m not sure I do, but if I had to then I would be as strong as Sophie. I see her as a strong character who has had a lot to deal with and she has overcome it all and to me kudus for that. I’d like to think I could be like that. If you were deserted on an island, which author would you want to be stranded with? Thank you, Kamy for joining us today.